So, I’m taking advantage of the coolor weather and getting started with my Fall-Cleaning checklist (aka preparation for hibernation-BRRR!). My “To Do List” continues to grow, but I’ve discovered ways to simplify the cleaning process to save time and energy. Okay, you might be thinking….”it’s just a broom, how special can it be”? 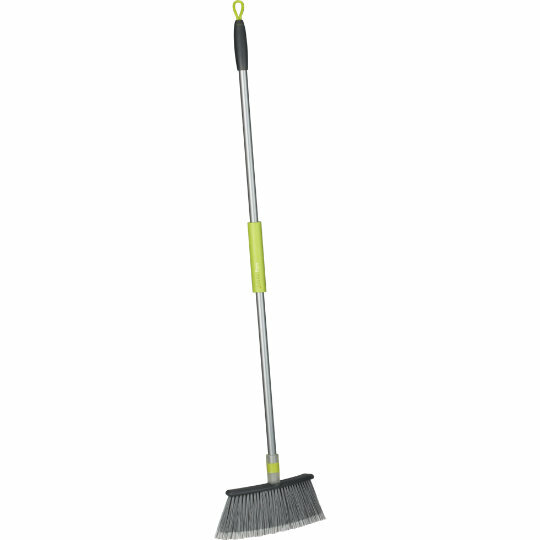 But, for $13.95 this magical broom from Crate & Barrel makes sweeping that much easier. Positives? It has a flexible neck, which allows you to reach those difficult spaces (i.e. beneath kitchen cabinetry and under furniture), and the soft bristles are easy on hardwood floors. 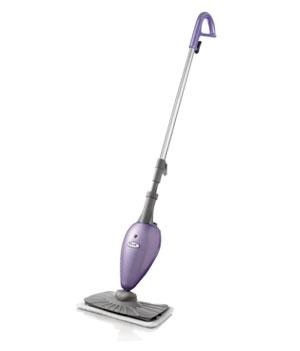 The Shark Euro Pro Steam Mop has officially made it to my top five favorite cleaning supplies. I purchased one from Bed, Bath & Beyond for around $90.00 (I used a 10% off coupon- it’s regularly $99.95). The mop comes with one standard mop head and one triangle mop head (both interchangeable), and five washable microfiber pads. Best of all, no expensive cleaning solution required…just add water! All in all, I would say it’s a good investment. Don’t waste money on expensive cleaners, especially the ones that really only tackle ONE specific job. Instead, take advice from REAL Simple and use everday household items. I keep white vinegar and baking soda on hand to clean most of my home’s surfaces (tile, sinks, etc). Martha Stewart has some more helpful tips about using natural, homemade cleaning products. Cleaning stainless steel appliances? Just use warm water and a small amount of mild dish soap to wipe away fingerprint smudges. Lastly, I recommend a long reach duster, such as the one below, for dusting the hard to reach places like ceiling fans, vaulted ceilings or even radiators. Cleaning is NEVER fun, but with these items helping to complete the job, I’m sure it will go a lot quicker…and you’ll definitely save some money- maybe even enough to buy a new winter sweater with the money saved on cleaning supplies…just a thought.